Our Jerky Strips are the first functional jerky treat with patented probiotic GanedenBC30 to help provide your pup with digestive support. This Beef with Coconut Jerky Strips recipe is a soft, pliable strip slow-cooked in a natural smokehouse for an irresistible flavor and aroma. 90% beef and 3% coconut to give your pup the nutrition he or she needs to live Healthier Together™ with you, for years to come. AVAILABLE IN 5 OZ BAGS. Turkey from the U.S.A. paired with tangy cranberries. Beef, Coconut, Coconut Glycerin, Distilled Vinegar, Citric Acid, Dried Bacillus coagulans Fermentation Product, Mixed Tocopherols. 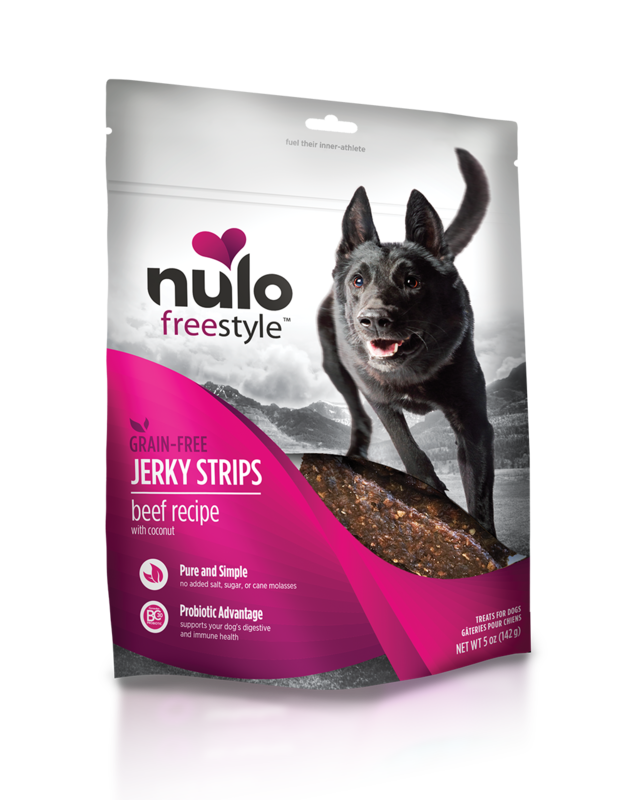 FreeStyle Jerky Strips Beef Recipe with Coconut are intended for intermittent or supplemental feeding only.